Vedran Corluka was born on February 5, 1986 in Doboj, Bosnia. When Vedran turned 8 he enrolled with the Dynamo Zagreb football academy. Ten years later, Vedran signed his first contract as a professional player. On loan, he spent a year in FC Inter Zapresic and then returned to Dynamo. In just two years he became one of the team’s leaders and won gold medals of the Croatian championship twice, and won the Croatian Cup and Croatian Supercup. In summer 2007, Corluka joined “Manchester City”. There, he quickly felt at home and became a regular pick for the main squad. After a successful year with the Citizens Vedran became a target for the Tottenham scouts. As a result, soon the Croatian put on the Spurs’ jersey. During four years at White Hart Lane Vedran made over a hundred appearances. The last half-season, he spent on loan in Bayer Leverkusen. At the age of 20, Corluka made his debut for Team Croatia. Since then, he has played in more than 50 games for his country in different tournaments, including Euro-2008 and Euro-2012. Corluka can play on different positions which is his main skill. He has played as a central defender, right defender and midfielder so far. In June 2012, Vedran signed a contract with Lokomotiv. At the end of the season-2014/2015 fans recognized Corluka the best player on the team. During the summer training camp before the season-2015/2016 Vedran was appointed captain of the team. Lokomotiv’s captain Vedran Corluka summarized the game with Besiktas (1:1) and spoke of his dismissal. 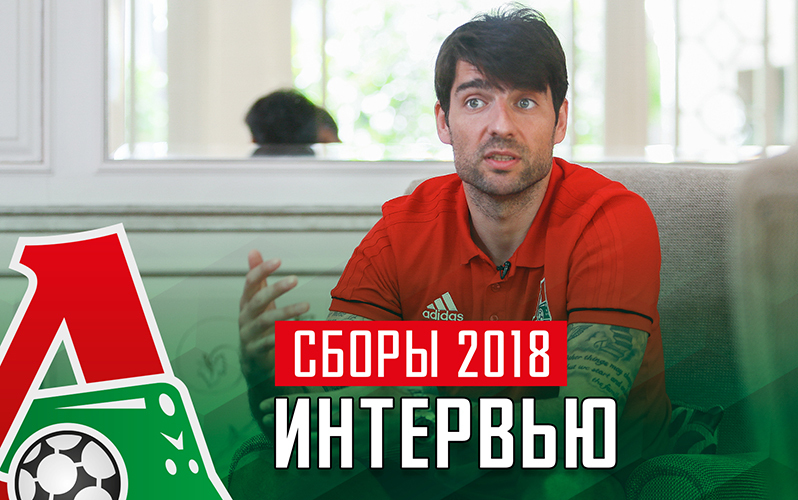 Lokomotiv captain Vedran Corluka tells about the first round game against Sporting (3:1) of the group stage of the Europa League. Check out a Loko-TV video about the ceremony where the Croatian defender Vedran Corluka was awarded a prize.